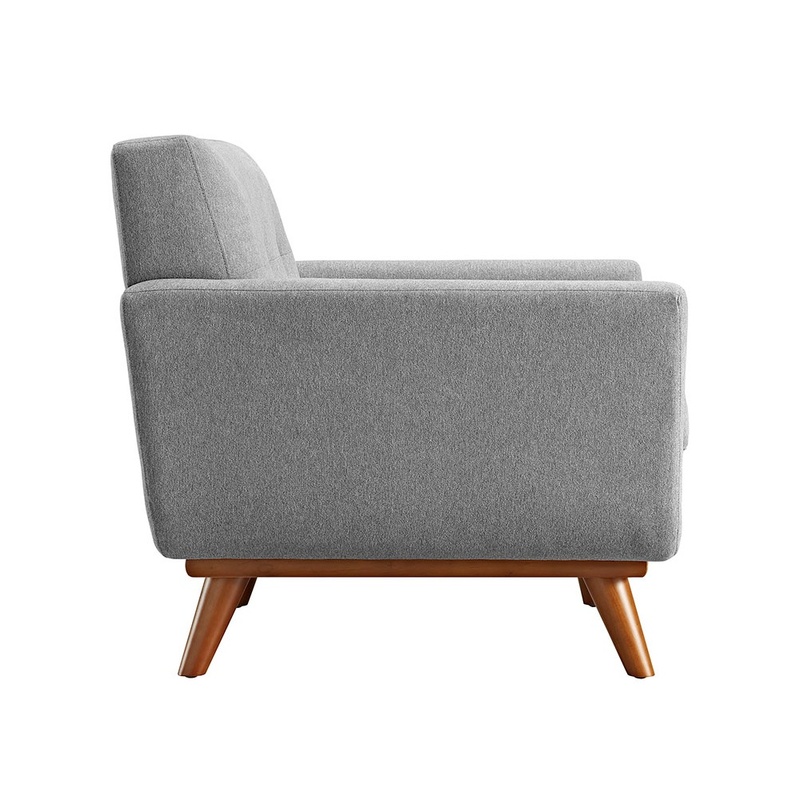 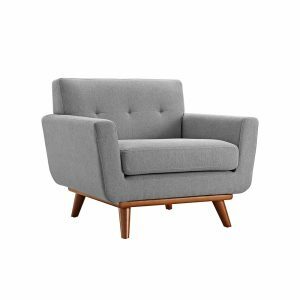 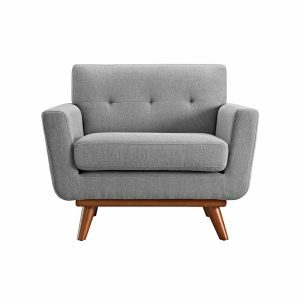 Tags: Grey, modern, lounge chair, mid century. Gently sloping curves and plush seat cushion create a favorite lounging spot. 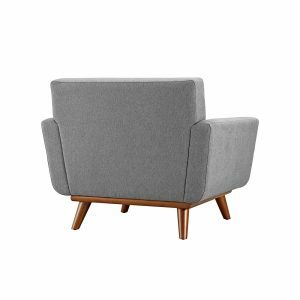 Whether plopping down after a long day at work, settling in with coffee and brunch, or entering a spirited discussion with friends, the Denmark Lounge Chair (Steel Gray) is a welcome presence in your home or any event. Three tufted buttons create eye-catching appeal, adding depth that brings your sitting décor to center stage.